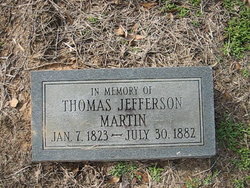 Thomas Jefferson MARTIN, my first cousin 4th times removed, was one of the 20 or so children born to James MARTIN (1789-1851). James was married at least twice, maybe even 4 times. Thomas’ mother was Mary GILL (ca. 1800-1829). Thomas was born in Brookhaven, Lincoln County, Mississippi on 7 Jan 1823. 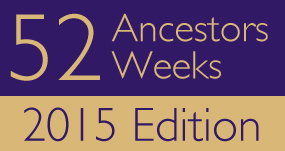 He married Feriby Ann BRISTER in 1845. 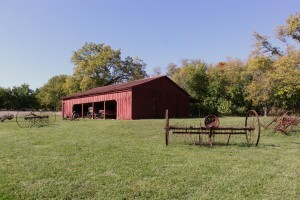 As was common in those days, Thomas was a farmer, a prosperous one according to his obituary. 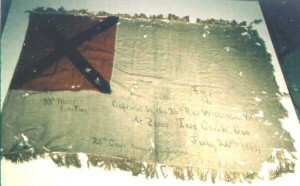 33rd Mississippi Infantry Battle Flag. Click on flag for more info about the 33rd. He and Feriby have seven children before the Civil War began. Thomas enlisted in April 1862. He was a member of the 33rd regiment Mississippi infantry, Co. C. He enlisted for 3 years and was a lieutenant upon his enlistment. Thomas was promoted to captain in July 1862. About a year later, in July 1863, Thomas deserted the army according to his service record. He’d participated in the Vicksburg Campaign, the Jackson Siege and other battles at this point. Perhaps he was worn out and couldn’t do it anymore. He and Feriby had no more children in July 1866, so it appears he didn’t go home until after the war ended. Once back home, Thomas went back to farming and two children were born (1868 and 1869), bringing the total to 10. In the 1870 and 1880 census, Thomas and family were living in the same area of Mississippi as he had lived all his life. In fact, except for the war years, and perhaps the time after he deserted the army, he appears to have lived and farmed his entire life within 15 miles of where he was born. In the early 1880’s Thomas became ill. According to his obituary in the Early Brookhaven Newspaper, ‘He had been in bad health for a long time and was confined to his bed at the time.’ There is no mention of what he was ill with, but it was believed to have affected him mind. The obituary said that on 30 July 1882, Thomas was missing from his room. A ‘search was made, and he was found a short distance in the woods, lying across a log with his throat cut from ear to ear.’ Thomas was buried at the Pleasant Hill Church Cemetery in Bogue Chitto, Mississippi. He was 57 years old.